I am so excited to share this delicious Quiche Recipe with you! 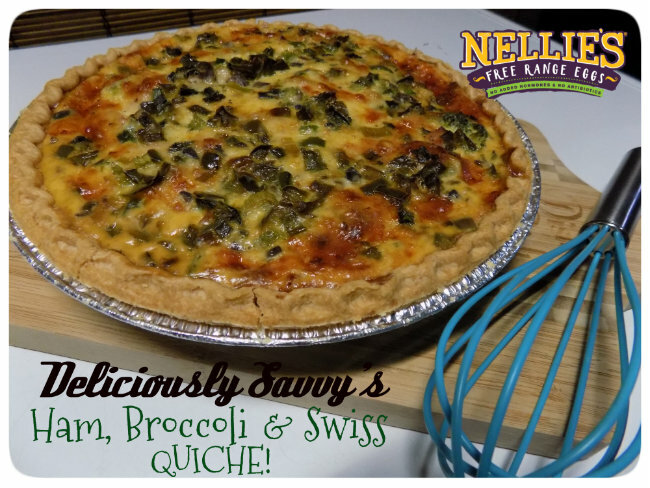 The best part of the process was the end result and how delicious my quiche came out using Nellie’s Free Range Eggs! I have made this recipe so many times I cannot count them all BUT this was hands down…. my favorite batch and I know it was all because of Nellie’s! They provide delicious eggs for sure and I love how they care for their Hen’s to ensure that you are receiving a “Certified Humane” and a truly “Free Range” product each and every time with no added hormones and no antibiotics. That is huge for me and my family and we will only use Nellie’s Free Range Eggs going forward. The difference is evident in the quality and taste of these delicious eggs and you know you are providing your family with the best and that is of the utmost importance to me. 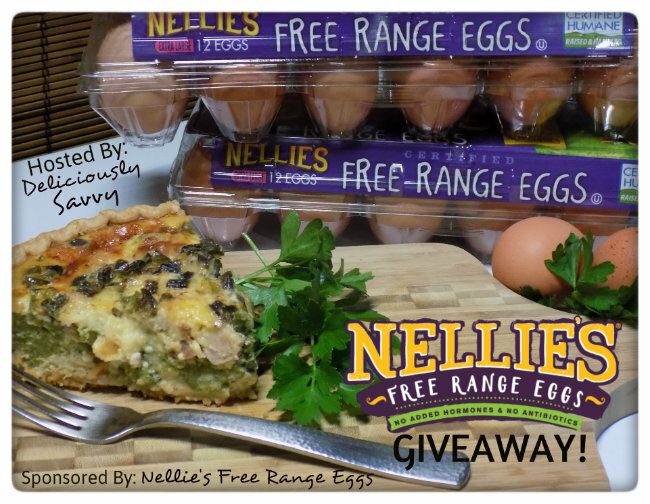 Read my full review of Nellie’s Free Range Eggs and check out my delicious Ham, Broccoli & Swiss Quiche Recipe.